FC Barcelona will be spending Christmas and New Year top of the Liga table. We already knew that after Valencia tumbled to surprise defeat at Eibar on Saturday, and the 4-0 defeat of Deportivo just makes the situation even better than ever. There is now an eight-point gap between FCB and Los Che after Takashi Inui and Joan Jordan got the goals that condemned the latter to their second away defeat in a row. 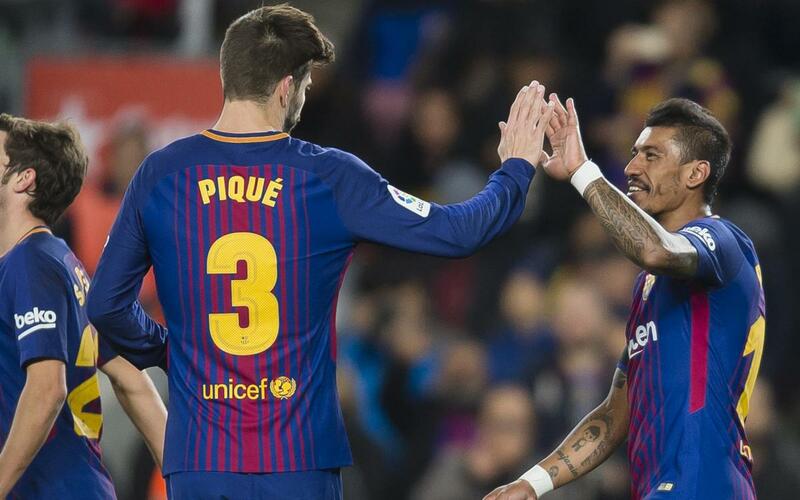 In fact, Valencia have now slipped to third, replaced in second spot by Atlético Madrid, who like Barça are still unbeaten this season and squeaked through with a 1-0 win against Alaves on Saturday. Fernando Torres providing the only goal of the game. They're now on 36 points, but six shy of the Catalans, who have 42 points from thirteen wins, three draws and zero losses. Attention now turns to the last game of the year, which nobody needs reminding is the Clásico away to Real Madrid, who go into that game a massive 11 points adrift of Barça. That's the third biggest lead that Barça have ever taken to the Bernabéu. Real’s Liga fixture with Leganés this weekend was not played because they were away in the United Arab Emirates playing in the Club World Cup – and secured the trophy for the third time in four years with a 1-0 victory against Gremio of Brazil. It was a Cristiano Ronaldo free kick that split the teams in Abu Dhabi. Meanwhile in England, Barça’s Champions League rivals Chelsea defeated Southampton 1-0. Spaniard Marcos Alonso scored the solitary goal at Stamford Bridge, but the Blues remain third in the table, a huge 14 points astray of Pep Guardiola’s still undefeated Manchester City.